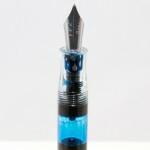 The FountainPenRevolution.com Dilli is an inexpensive, Indian-made piston filler demonstrator. 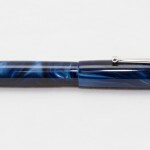 At a price of only $15-$18 depending on nib choice, this is a very affordable pen that comes with a whole variety of nib sizes, including a #5-sized steel “flex” nib. 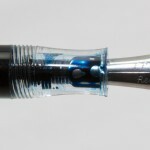 Due to the pen’s $15-$18 price, and the availability of a flex nib, the Dilli is a pen that occupies the same strata of the pen world as pens like the Noodler’s Konrad or Ahab. 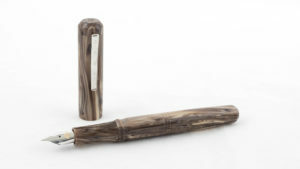 The Dilly is a pretty standard cigar-shaped pen, albeit a bit more slender than the traditional cigar-shaped writing implement. It’s actually a relatively small pen, with a length that requires posting (in my hand, anyway), and a relatively slender 9mm grip section. Normally a fan of longer and wider pens, I didn’t find the Dilli uncomfortable to use at all, so long as the pen was posted. 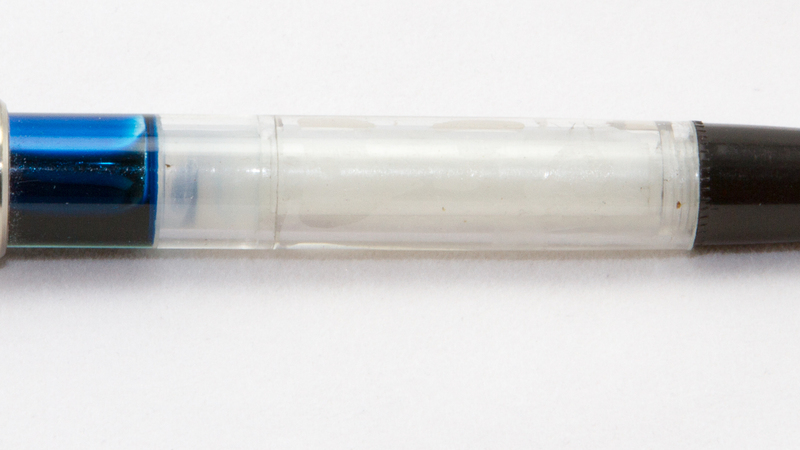 I found myself holding the pen on the barrel (which is 11mm in diameter) rather than on the grip, but that had more to do with the fact that the smaller #5 nib didn’t get close enough to the paper to allow me to hold the pen on the grip. 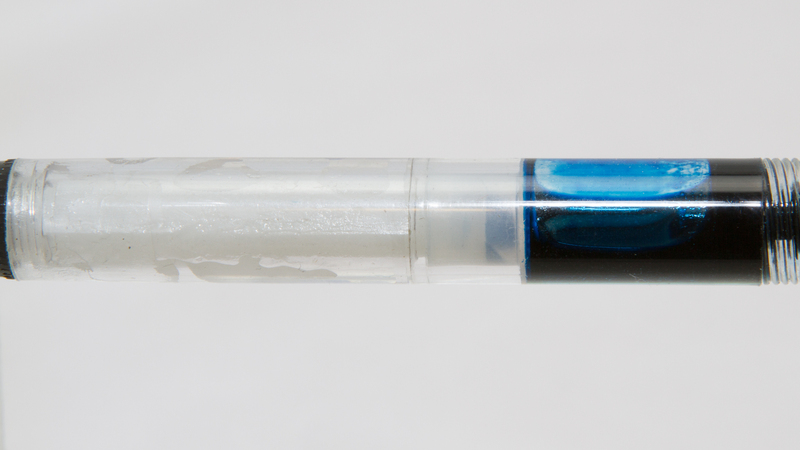 The build quality on this pen was…okay. Overall, I found the Dilli’s construction to be adequate. 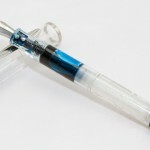 There were not glaring issues that made the pen unusable. But there were a fair number of small things that added up. 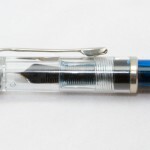 The clip on the pen is made of very flimsy material. 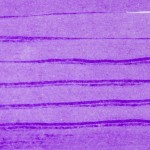 The piston’s design was done in such a way that the piston could only travel about 20% the length of the barrel, resulting in a relatively paltry amount of ink that could be pulled up into the barrel. The piston itself was greased so heavily that there were large, gloppy blobs of silicone grease visible through the clear acrylic. Perhaps most annoyingly, though, the grease they used actually contained grains on sand and other detritus, which made the pen look dirty and ill cared-for right out of the envelope. Unlike previous experiences with FPR-branded pens, though, the Dilli (with a flex nib, in my case) actually wrote quite well right out of the gate. While not butter smooth, I didn’t experience any issues with scratchiness. Ink flow was pretty good over time. Only on a couple of occasions did I experience the feed not able to keep up with my day-to-day writing. And in cases where the feel struggled to keep up, usually a brief 5-10 second wait cured the issue right up again. The only time the pen really struggled with writing was during flex. 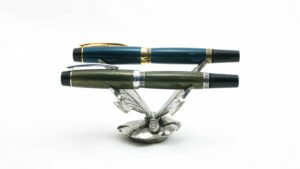 The pen railroaded. A lot. 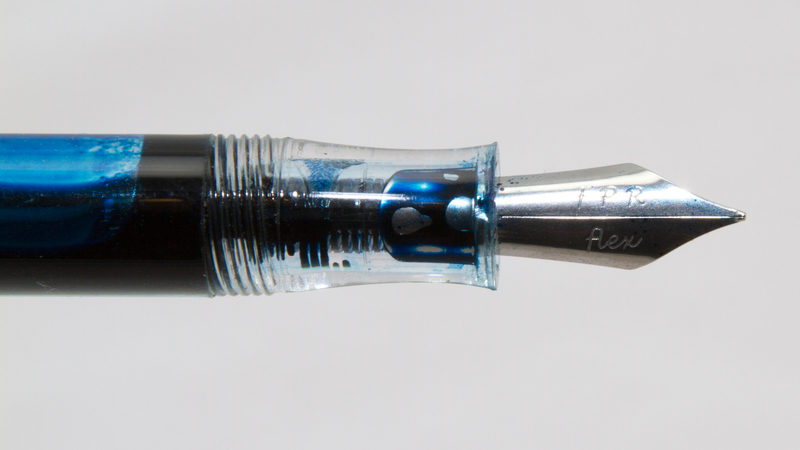 Now, having owned a Noodler’s Konrad before, I have come to realize that most of these inexpensive “flex” pens can barely be called pens, let alone flex pens, based on the way they write. 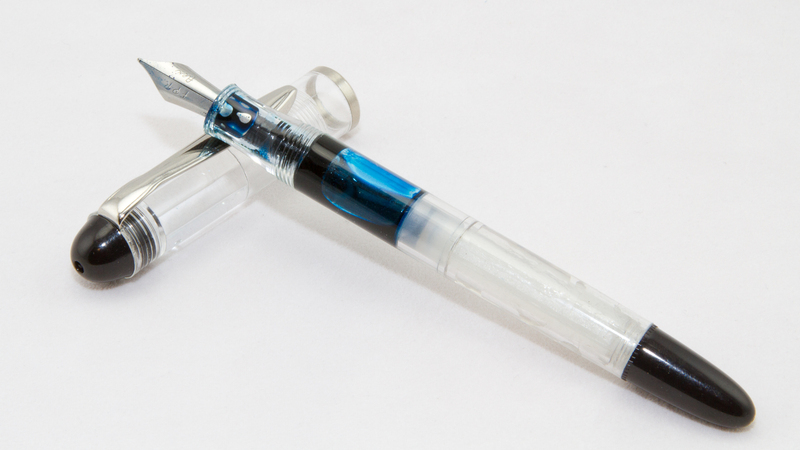 My experience with the Konrad was so bad, and frustrated me so thoroughly that I ended up throwing the pen away. 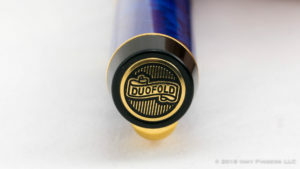 The Noodler’s was a poor flexer, and an even worse writer (with a flex nib in place, anyway.) 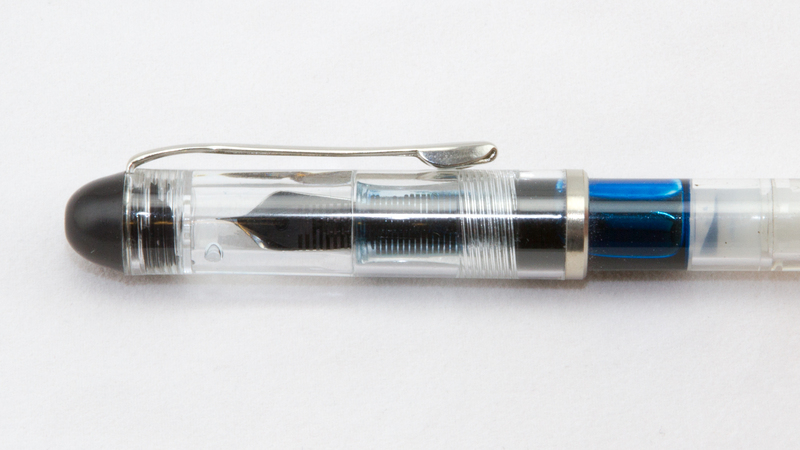 The FPR is a poor flexer, but at least it writes pretty well as a daily writer. 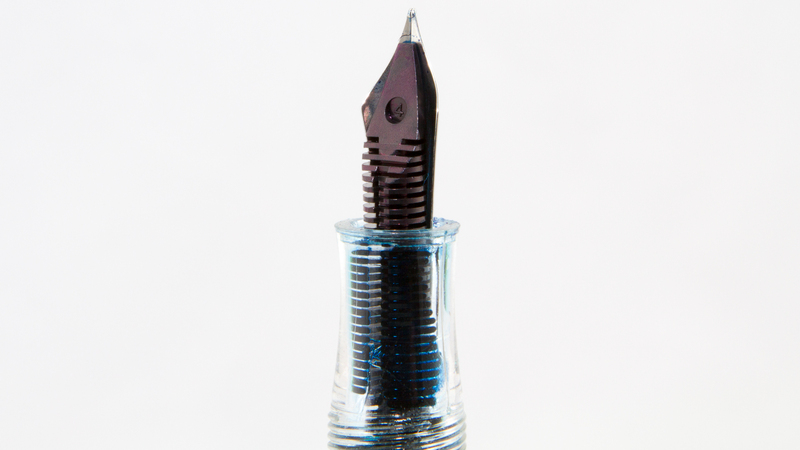 The nib, which can give you a decent bit of variation, but the feed struggles to keep up with flex writing. 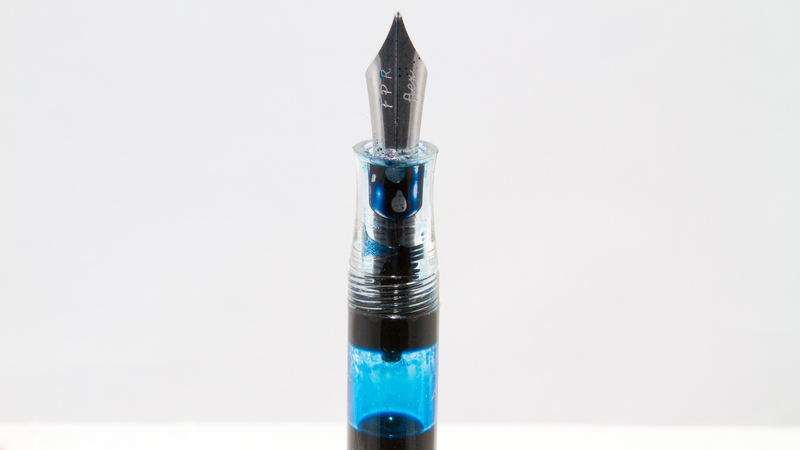 If you twist the piston to overload the feed with ink, it actually performs pretty well–especially if you write slowly. In the video above, you can see, by way of comparison, how the flex works on the Dilli vs. a true vintage flex nib. So, overall, the Dilli is a decent, low-cost writer. 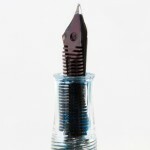 Because it uses standard #5 nib, you can swap out the existing nibs with nicer ones, if you see fit to do so. 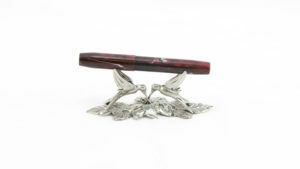 It suffers a bit from a lack of attention to detail and quality of finish. 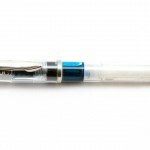 While normally, I would look past that on a pen with such a low price point, when placed alongside a comparably priced Chinese pen from Jinhao, Duke, Baoer, Kaigelu, etc, or even more so, a Pilot Metropolitan, the value proposition is a bit more shakier. 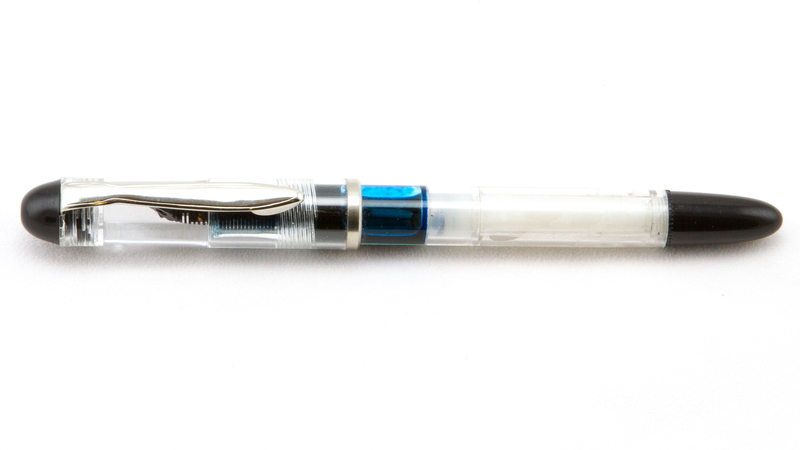 If you like demonstrators, this may be right up your alley. 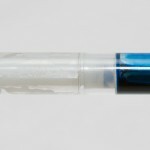 And, if you’re in the market for an inexpensive flex pen to play around with the technique, I still consider the Dilli (or some of the other FPR pens) to be better options overall than other low-cost “flex” options out there.